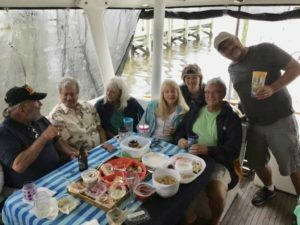 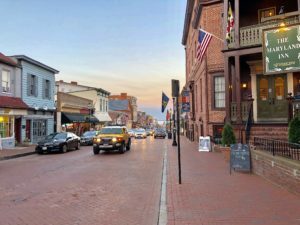 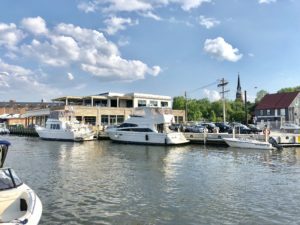 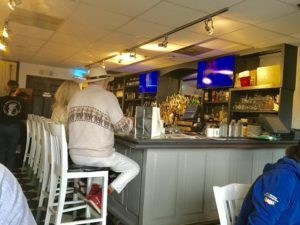 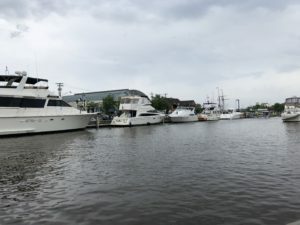 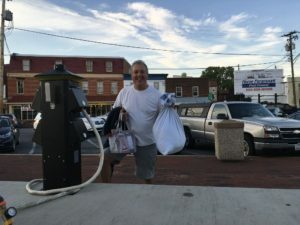 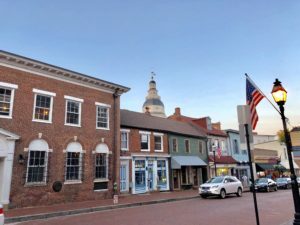 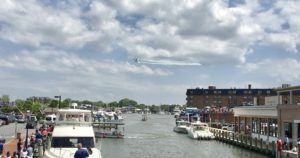 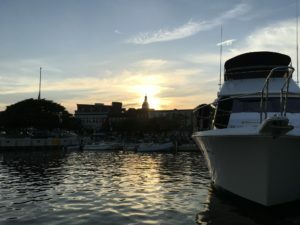 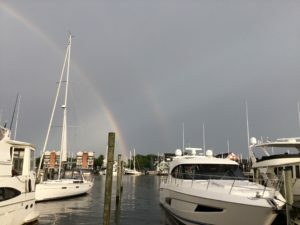 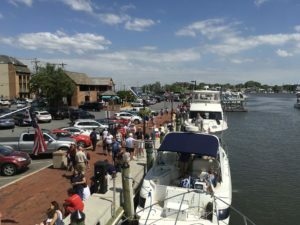 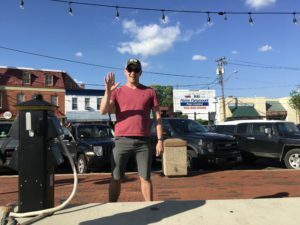 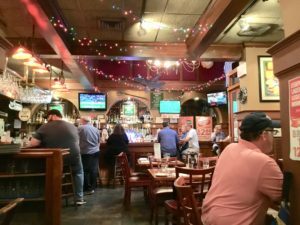 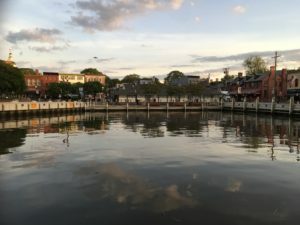 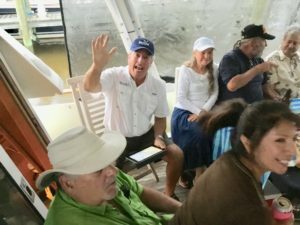 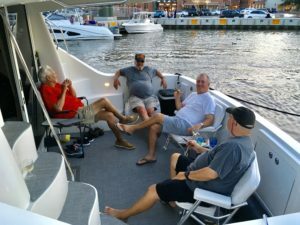 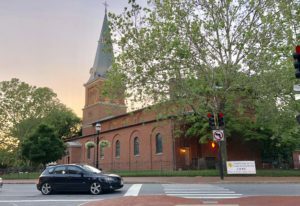 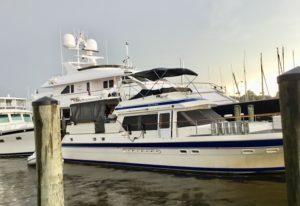 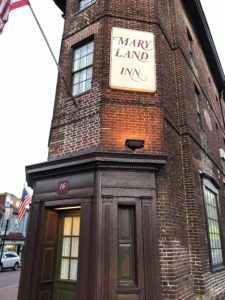 Another “PICTORIAL – in an attempt to catch up on our blog……the rest of our stay in Annapolis. 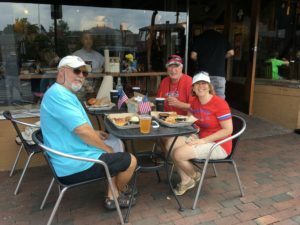 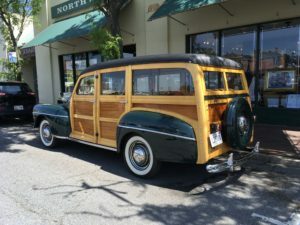 With people everywhere, it was an awesome stop with so much to see and do…. 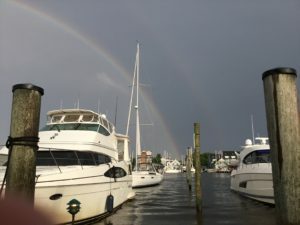 From sunrise to sunset, and double rainbows in between…..
People lined the streets and docks to watch the Blue Angels perform and the continuous boat parade on Ego Alley…..
After day one, we scooted from the marina side (very expensive), to the city dock side (first come – first served), where we spent the next several days…. 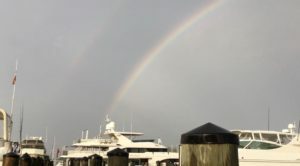 The elementary school was within sight of our dock and children were dropped off for school by boat. 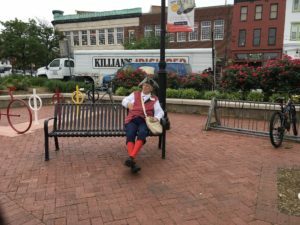 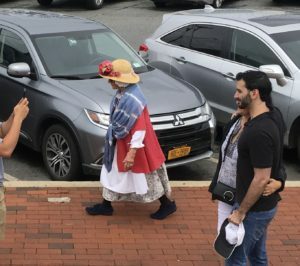 There were “characters” roaming through Annapolis in period costumes, and we even saw Monks walking the streets. 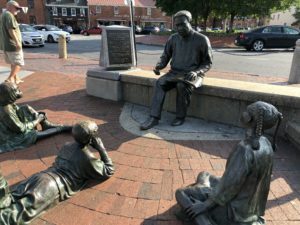 The bronze statue of Alex Haley sits at the end of Ego Alley. 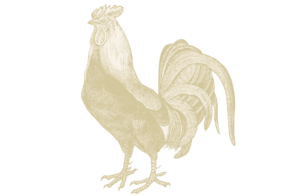 Author Alex Haley (1921-1992) was best know for works depicting the struggles of African Americans. 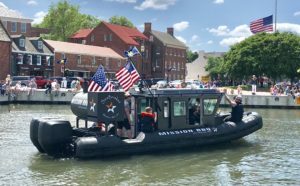 Raised in Henning, Tennessee, he began writing to help pass the time during his two decades with the U.S. Coast Guard. 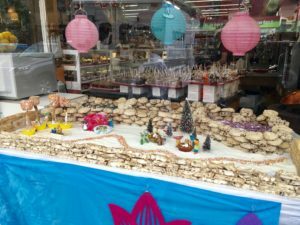 Next, a store window display of a winter scene made out of cookies! 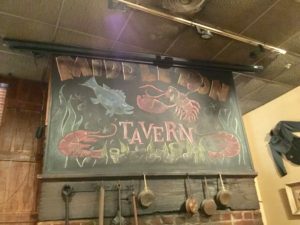 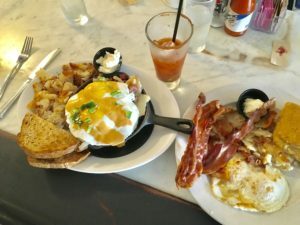 Breakfast at “The Iron Rooster” with Herb (on Phantom)…..
Dinner at Middleton Tavern with Rick and Deedy (on Rejoice)…. 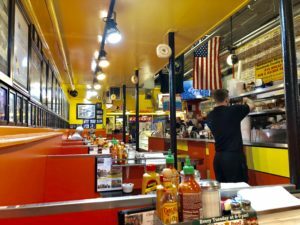 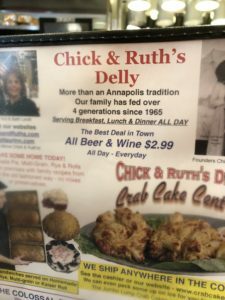 Crab and Maryland chowder at Chick & Ruth’s…..a family operated Delly since 1965…. 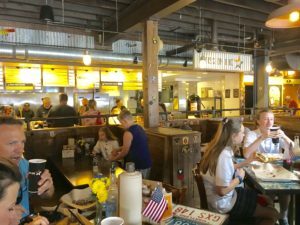 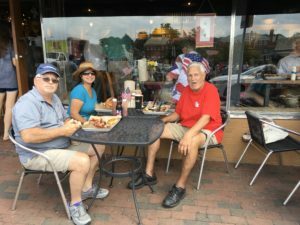 Lunch with Herb and John and Angie (on Angelita) at Mission BBQ…. 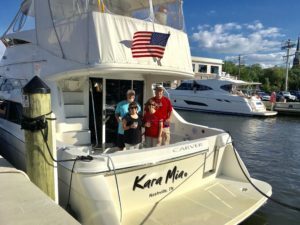 and New Loopers Rick and Kris…..Missions will also deliver to your boat! 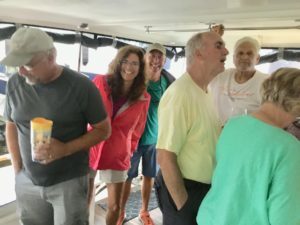 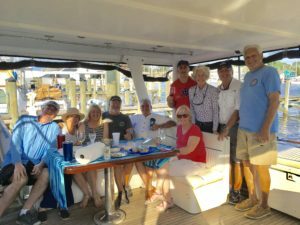 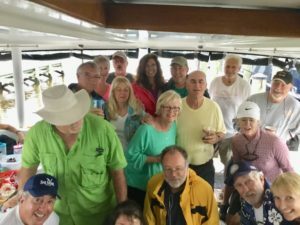 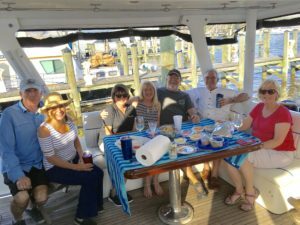 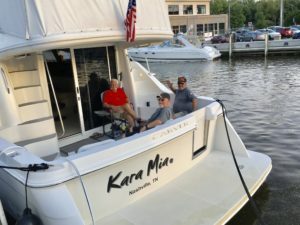 ….and some caught up on their laundry…..
Docktails on Kara Mia with Rick and Kris (on Eagle One)….Rick was a Navy pilot! 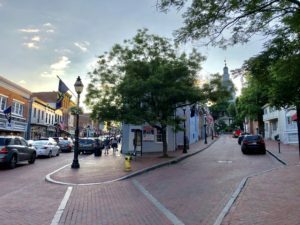 A walk around downtown…..still lovin’ the red brick streets! 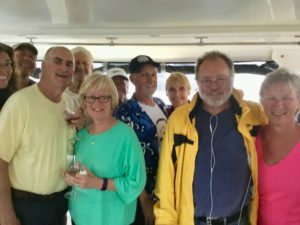 “Bailey” from Ashland City, Tennessee – our home port…. 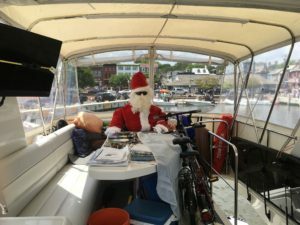 Santa fit in very nicely….and he liked the attention!